“GingerChi believes being aware of the ebb and flow of yin and yang, and knowing how it affects Chi clears one’s path to understanding and achieving true beauty”. GingerChi products are made with fresh ginger oil to harness ginger’s revitalizing effect on Chi and the body systems that directly influence the appearance of skin. Pure plant oils and essential oils are selected for their direct benefit to the skin and for their ability to support the internal function of ginger. It’s this mindful balance of yin and yang between the selected ingredients, working in harmony with each other, that creates a unique beauty regimen. With regular use, you’ll reap results on more levels than one. Working with skin’s natural sebum, each GingerChi product is formulated to address Chi at a cellular level. Pure plant oils carry fat soluble vitamins, sterols and carotenes, which when massaged into skin penetrate and nourish, generating heat in skin cells. Elimination is improved, creating a balanced environment where the flow of Chi and circulation of blood is restored. Our products are preserved naturally without the use of synthetic chemicals or toxic additives. 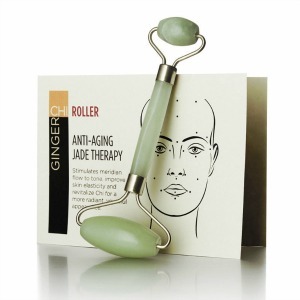 GingerChi brings you the healing power of ginger in its most natural form to support beauty from the inside out. You will experience greater vitality inside the body and healthy, glowing skin outside. As it is in the Tao, GingerChi is about a path: a path to true beauty through well being, health and vitality. For thousands of years, this special plant has earned wide respect for therapeutic properties that can range from improving circulation to stimulating the immune system. Cooked in foods, steeped in teas and even soaked in baths, ginger warms the body from the inside out. In China, after a woman gives birth, Ginger is used extensively to help her regain her ‘Chi’. The new mother not only bathes in ginger but her diet also includes of all things ginger. The experience of childbirth depletes the body of ‘Chi’ making her vulnerable and in a state of ‘yin’. Ginger considered ‘yang,’ stimulates and brings the body back into balance. (or Qi, pronounced CHEE) Chinese Culture considers Chi the life force present in all living things.To fully understand the concept of Chi, we must look at the nature of yin and yang. This eternal symbol of balance is comprised of two opposing yet complementary forces. For example, the sun is yang and the moon is yin. Qualities or states of being hot, male or aggressive are considered yang. Cooling, calming or female are considered yin. They cannot exist without each other, nor can they remain fixed: they signify dynamic tension, interdependence and change. Our goal is to strive for balance since when Chi flows freely, we experience optimal health, wellbeing and vitality.